This simple statement encapsulates the philosophy behind LAMY, one of the world’s most distinctive writing instrument brands. The clarity and purpose that informs LAMY product development begins with the principles of the Bauhaus movement; in essence, every product must fulfill its practical function, be durable and have visual appeal. LAMY product design is also driven by collaborations with renowned designers, resulting in products of the highest technical prowess and timeless modern design. Founded in Heidelberg, Germany in 1930, the company has a long and distinguished history of product development and manufacture. All LAMY pens and accessories continue to be manufactured at LAMY headquarters in Heidelberg, Germany. This ensures that the quality and attention to every detail is maintained throughout the product development and manufacture of LAMY writing instruments. 2016 sees LAMY celebrate 50 years of design, which commenced with the release of the LAMY 2000. This focus on design, and partnering with designers, has ensured LAMY’s ongoing success. 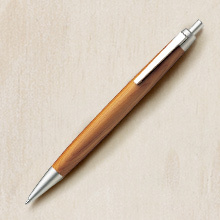 Twenty five series, 200 models, annual production of 7 million writing instruments. 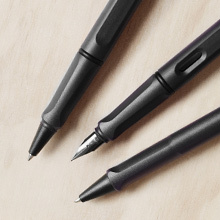 The LAMY range incorporates a number of different collections for a variety of users and purposes, while the consistent focus on the core philosophy results in a cohesive, beautiful and functional range to suit every use and budget. Telegram Co. is the official, exclusive distributor for LAMY in Australia. 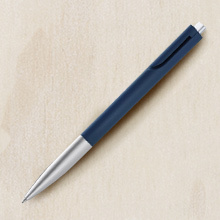 Interested in stocking LAMY? Please complete our retail partnership enquiry form.